History: In 2006, I was the 1st person state side to run jdm headlights. Some of the Japanese brothers thought I had gotten a leopard in America as nobody had these headlights (aero kit and emblems added to the mix). When they found out I had an m30 with leopard headlights, they wondered how i got them. In those days, there were no 3rd party auction services. Thanks to my brother Mege-san, i picked up a ton of leopard stuff in the mid 2000s. My black M30 was called,”American Leopard” by the Japanese back then. Friday, I got the core of it all worked out. Again, I did this with relays. 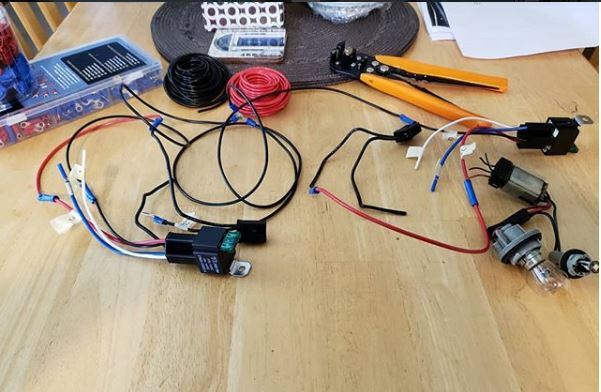 I cut the USDM plugs and started to add wire extensions from the body harness to the new pig tails for the H4 and H3C set up. Secured the relays and started wires to the ground and battery. When I first finally got all of the hooked up, I flicked everything on and my left city light didn’t work!!!! I was pissed, but I checked all my wiring. Seemed good. So then came the process of elimination. changed ground connection – VIOLA! The LED H3C lights up the city lights like crazy. 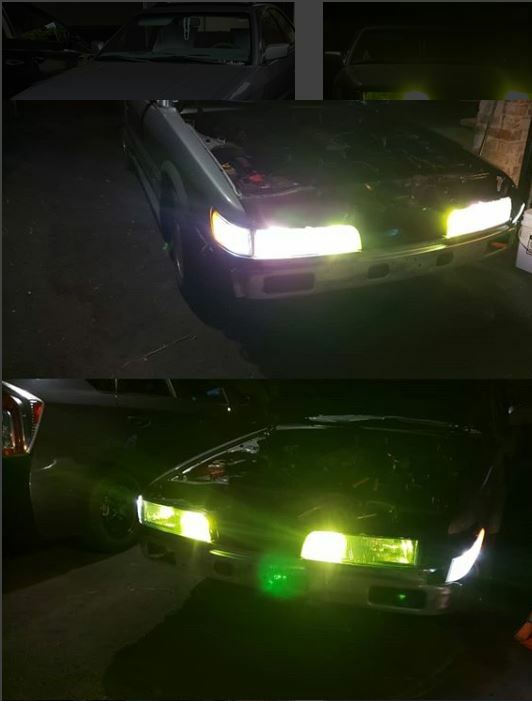 I mean it is brighter than the halogens in the headlights. So gotta order upgrades. Now let me say this, I took me a few hours to do all this because I was splitting time with the bumper repaint and not to mention getting a haircut, doing groceries and going to stores for supplies. 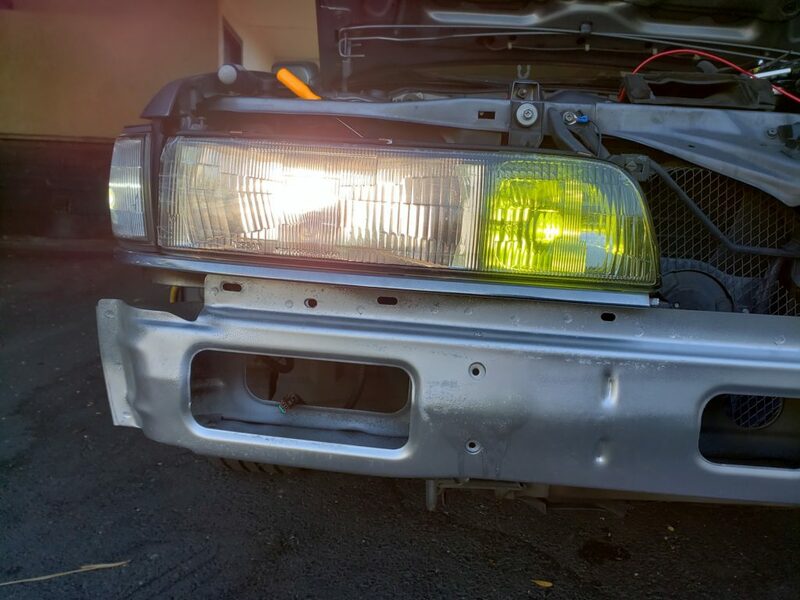 But after securing the wires, headlights are done! This entry was posted in blog, opinion, Owners, parts.